I have found myself writing a little series about social complexity, mainly focusing on sociology and social psychology. In previous posts I have analyzed the individual thought processes as well as interpersonal and group level interaction processes. All these processes will individually be enough for social complexity (complex patterns of social interaction) to emerge. But of course they are all happening at the same time, in each interaction and situation. This post will take yet another macro-level into account. I will analyze the inter-group (i.e. “between groups”) phenomena especially from the point of view of social identity. An individual internalizes the membership of a group as part of his self. Being aware of group boundaries creates differences, i.e. social categories. How relevant is the perceived outgroup? This is affected by the status of the ingroup. So, for social identity to emerge the identification with a group is very relevant. It is notable that identification doesn’t require very much emotional involvement or changes in behavior. It is enough that a person just feels himself to be part of the group and it’s phases. He will then take the success or failures of a group personally. Social identity is part of a process of categorizations that I already touched upon in my previous posts. Self can be divided to personal identity (e.g. physical and psychological abilities) and social identity, which is actually formed by group memberships and group categorizations. Social identification is then a result of categorization – acceptance of being part of certain human groups. However, this doesn’t mean necessarily internalization – internalization means that the norms, attitudes and values are integrated as part of the self. If a person identifies with a group, he might not internalize all of it’s norms and values (see “commitment” below). Usually people have several group memberships. Some group membership can be highlighted in a given situation. Person will then act according that specific group identity. The social identity is in practice formed by several group memberships. Self-esteem is built from personal identity and social identities. It then involves the personal achievements as well as the achievements of the groups. Very big part is also played by the ingroup favoritism. Whenever something threatens the self or the value of the self, the self-esteem, person is involved in identity negotiation. 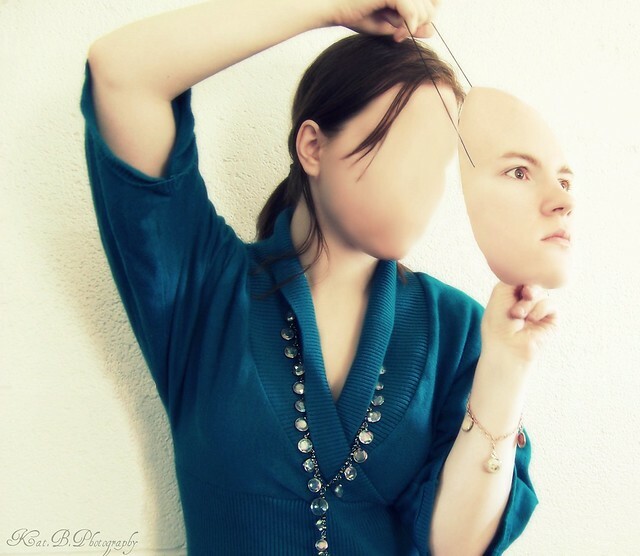 As the self-esteem is very much a social phenomenon it is quite unstable and thus people are quite often involved in different identity negotiations. If the group boundaries are permeable, a person can also move to more satisfactory groups. However, sometimes that isn’t the case. Then the only option is to fight for the better status of the group or to use creativity to use the existing status relations in one’s advantage. Quite common phenomena between groups is prejudice. When people divide themselves in ingroups and outgroups, different forms of prejudice can emerge. Racism, ethnocentrism, depersonalization, deindividuation and even dehumanization can occur. There are different theories of why strong forms of prejudice are formed. One theory is that authoritarian personalities (see my previous post) are naturally very likely to create prejudices. Some theories suggest that the frustration caused by unreached goals of a group becomes aggression, which is then focused on some weaker outgroup. Sherif had the theory of realistic conflict that suggests the “group context” is more relevant here than the individual factors. One theory involves the social competition that suggests social identity makes people see their ingroups as well as outgroups homogenous. This happens especially when certain group membership is highlighted. Contact hypothesis: positive contact between groups helps to change attitudes. People need to be equal and have common goals. Decategorization model: Instead of highlighting the group memberships, highlighting personal identities will decrease the perceived differences. Mutual differentiation: Instead of highlighting personal identities, it is better to highlight the positive sides of the group categories – otherwise the perceived group categories won’t change. Common ingroup -model: Creating or highlighting a higher level ingroup that involves both of the groups. The problem might be the ingroup prototypeness, which makes people see their own ingroup to be the only real prototype of the higher level ingroup. Increasing the number of groups and categories: If there are lots of different groups involved, it is harder to make prejudices between certain groups. In global organizations that have sites in multiple different continents it isn’t so probable to have strong prejudices as between two sites. As the strategy number 5 already pointed out, inter-group relations are very important when looking at business organizations. Organizations have typically a wide array of small face-to-face groups as well as virtual groups. Some of those are internal, some external. There are also many types of subgroups. All of these groups are subject to group dynamics and social identity. It is quite usual to talk about “commitment” in business organizations. Usually this means commitment for schedules, team goals, etc. However, it is interesting to point out that actually the commitment is quite strong term. Originally, it means internalization but it is commonly used to mean identification. Identification with group and it’s goals itself isn’t so important for an organization, only internalization of group identity brings real commitment. I also mentioned the ingroup prototypeness. Usually in a team the prototype is a leader or other person who has internalized the social category which defines him and the group. In fact, in order for somebody to really function as a leader, he has to be seen as the best example of the group’s social identity. This is also related to the ingroup depersonalization. The individual identities of people are put to side and commonalities are highlighted. It is often quite easy to see how people in specific groups start to act the same way, have same kind of manners and phrases of talk. Depending on the situation and environment, the value of group membership can change. Sometimes the interaction is mostly based on individual traits, attractors and goals. On the other extreme the interaction is based solely on the group memberships. This is called the interpersonal and inter-group continuum. Sometimes the prejudices can lead to extremities like nationalism and mass-behavior. Theory of social identity points out how these phenomena emerge from the categorization processes people are involved in. Leaders can use these processes by first categorizing the ingroup and then mobilizing it agains some outgroup. This is usually achieved by using rhetorics and charisma. It is quite common for people to take for granted that there are some concrete entities called “organizations”, “teams” or “groups”. In this post I try to point out how these are actually just categories that people use to define their own identities. These entities are used as categories to define ingroups and outgroups. Social competition makes people to seek positive comparisons for their own groups and this involves sometimes patterns like prejudice and mass behavior. Groups and organizations are complex patterns themselves. Emergence of groups and organizations are complex patterns. It totally misses a point when somebody is trying to “increase” or “decrease” the complexity to find “edge of chaos” or something like that. Even a group of two, a dyad, is emergent patterns of interactions. Three or more people will inevitable lead to building of social identities that are somewhat predictable, somewhat unpredictable.